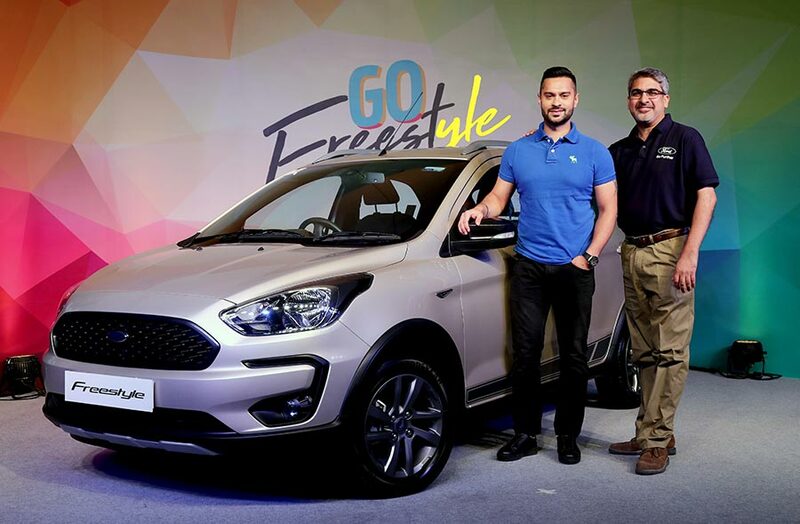 Ford India today introduced India’s first Compact Utility Vehicle, Ford Freestyle for Indian consumers at a compelling price starting from INR 509,000. The all-new global product from Ford combines SUV-like robust design, benchmark performance, innovative technologies and outstanding fuel efficiency – for greater choice to customers. The brand new CUV is available in four variants across two fuel options and six new colours. 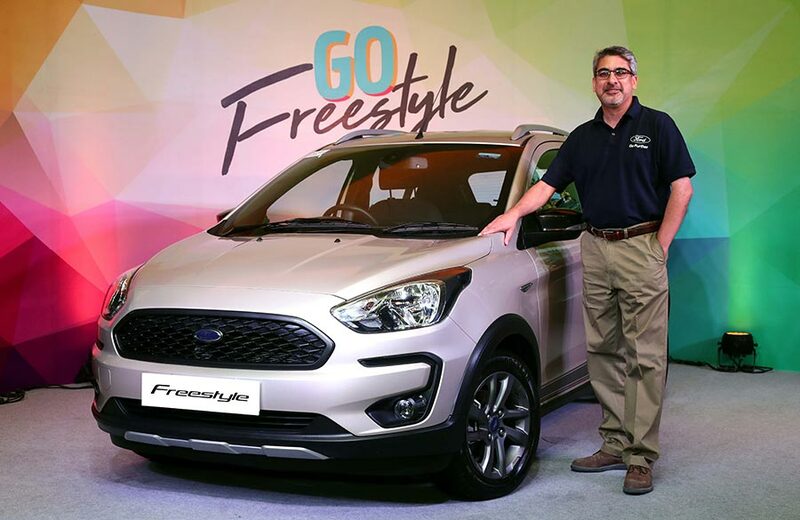 Freestyle will meet this unmet need of customers and enable them to own a vehicle that combines both SUV styling as well as capabilities, at a price that they want. 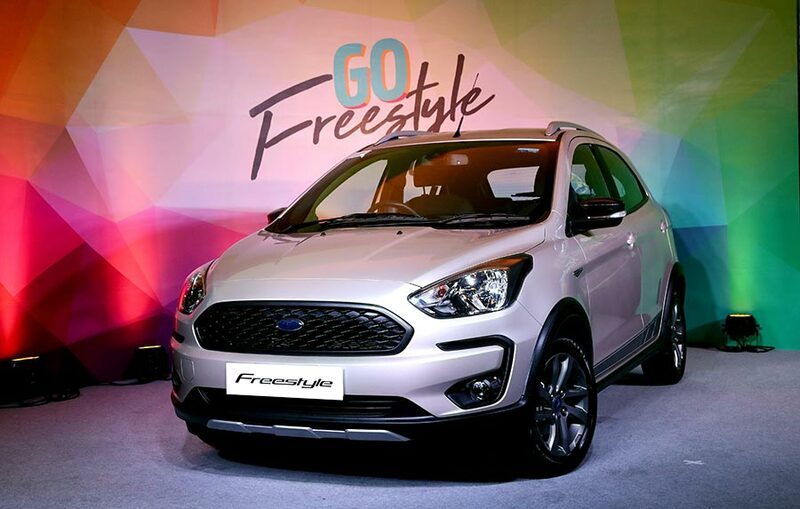 The Freestyle comes paired with Ford’s all-new, three-cylinder 1.2L TiVCT petrol engine that is small, light, strong and delivers outstanding fuel efficiency. The naturally aspirated engine will generate best-in-class 96 PS of peak power and 120 Nm of torque to deliver Ford’s fun-to-drive DNA. Consumers will continue to have a choice to opt for Ford’s trusted 1.5L TDCi diesel engine that generates class-leading 100 PS peak power and 215 Nm of torque. Both engines are paired with an all-new, five-speed manual transmission that’s sportier, quicker and enhances its fun-to-drive capabilities. This new manual transmission has almost 15% lighter and helps improve fuel economy while reducing NVH. It requires 40% lesser gear oil than its predecessor too. Drivers will experience slicker, more responsive gear shifts when they behind the wheel, enhancing Freestyle’s sporty appeal. Adding to the list of all-new features and technologies, Ford has introduced innovative and first-in-class intelligent technology, Active Rollover Prevention (ARP) with the Freestyle. The system works with Electronic Stability Control and applies brakes on relevant wheels to decrease engine torque and help prevent any potential rollover situations. Freestyle will deliver sportier performance in all driving conditions and will feature a uniquely tuned suspension with increased track-width, TCS, ABS with EBD, hill launch assist, a segment first, and uniquely tuned EPAS among others. The Freestyle will continue Ford’s leadership on Safety, offering standard dual airbags across the variant line-up. For those looking for greater safety, Freestyle will offer up to six airbags on top Titanium+ trim. The latest Ford looks modern, aggressive, inviting and ready for action, whether on or off-road. Featuring a striking-look, and a commanding stance, the Ford Freestyle uses design elements common to more expensive mini SUVs. The unique Freestyle grille with three-dimensional mesh gives this car a sportier look. The front bumper has sculpted sections – that inspire a sense of confidence and add to its SUV-like look & rigidity. The skid plates on the front and rear, make the car a perfect companion whether on-road or off-it. Freestyle, with its best in class ground clearance of 190MM, can conquer challenging surfaces with greater ease and will feature wider 15-inch tyres with aggressive black alloys. The CUVs interiors feature sporty, dual tone interiors. Like all Fords, there are 20 storage spaces throughout the cabin and a boot with 257-litre capacity to easily accommodate two suitcases. The rear leg room of 871 mm and headroom of 959 mm is amongst the best in the hatchback segment. There is extensive use of damping and sound absorbing materials to reduce vibrations or road noise, making the Freestyle’s cabin quietest among hatchbacks. The Ford Freestyle also features Ford’s in-car infotainment system, SYNC 3 with a 6.5-inch touchscreen which allows drivers to control their entertainment and their connected smartphone with conversational voice commands. The Freestyle is replete with convenience features including, a reverse parking camera, keyless entry and a push start. The automatic climate control on the Freestyle will be among the best-in-class, capable of bringing cabin temperature down from 50-degrees to a comfortable 25-degrees, in just 15-minutes. 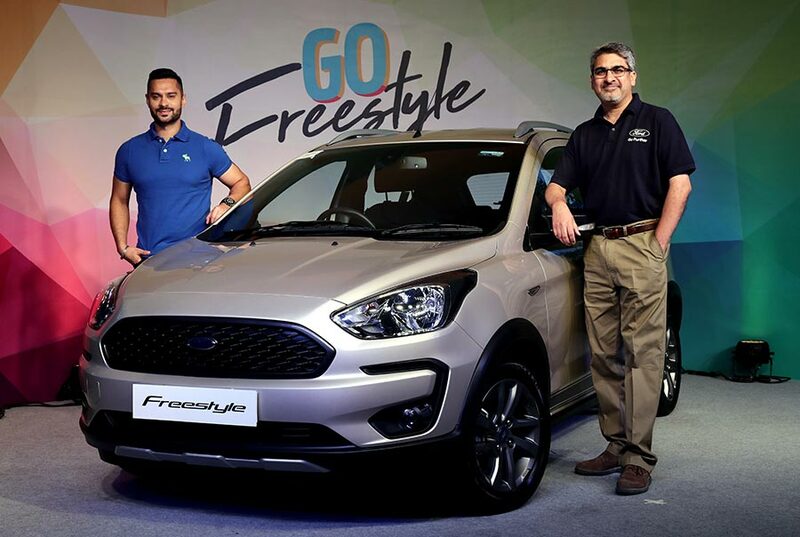 The all-new Freestyle is produced at Ford India’s Sanand factory in Gujarat, for consumers in India and all around the world, including parts of Europe and Africa. The CUV is available in six colours, including a new White Gold, Canyon Ridge, Moondust Silver, Oxford White, Smoke Grey and Absolute Black.